We use only real ingredients in all of our products. 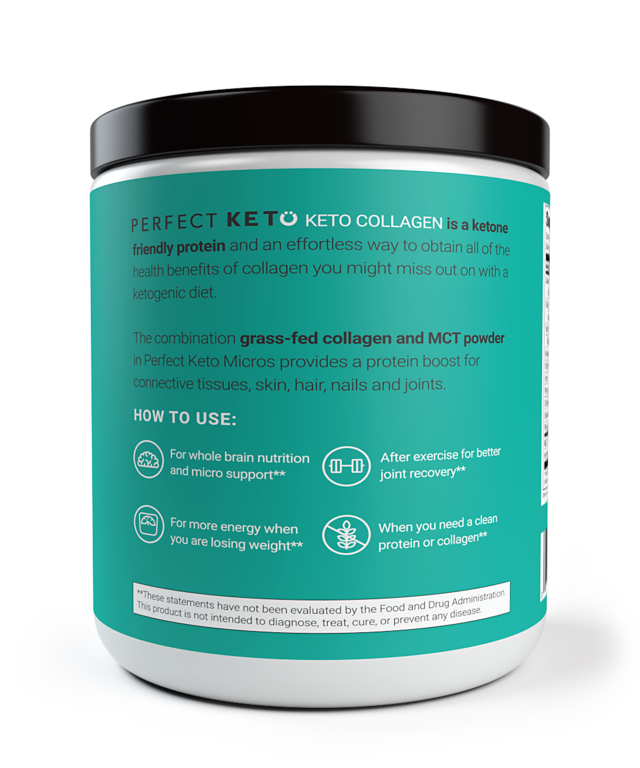 Keto Collagen contains 100% grass-fed collagen (from USA cattle), MCT oil powder,and stevia leaf. Choose from unflavored, chocolate, or vanilla flavors. 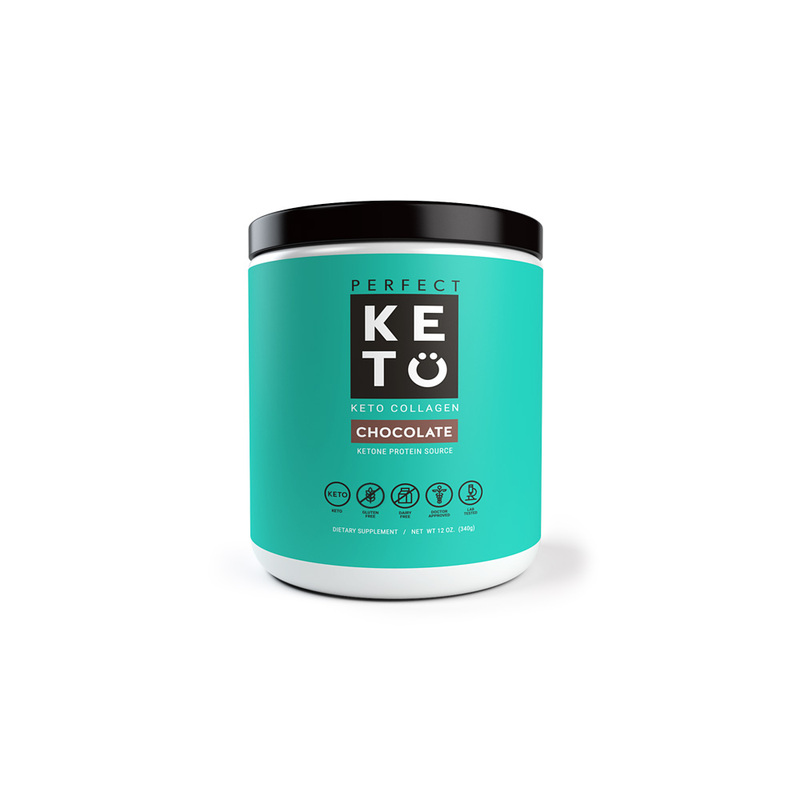 Keto Collagen tastes phenomenal with smoothies, drinks, or coffee. No blender required. Try adding to your favorite recipes or replacing your existing protein powder. 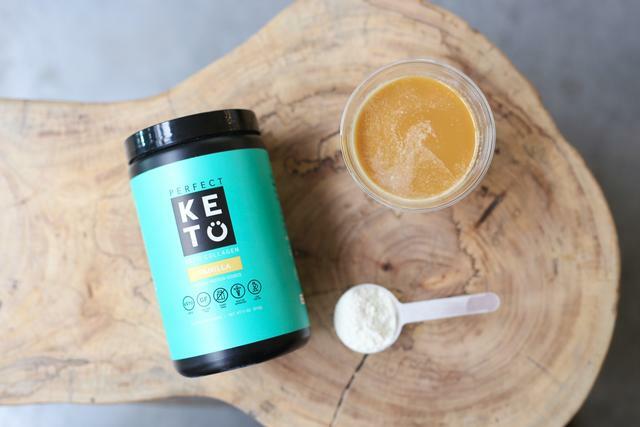 Keto Collagen can be used anytime throughout the day. 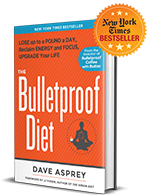 Add it to your morning drink to feel full and focused all day. Add it to your mid-day drink to maintain a healthy energy level. 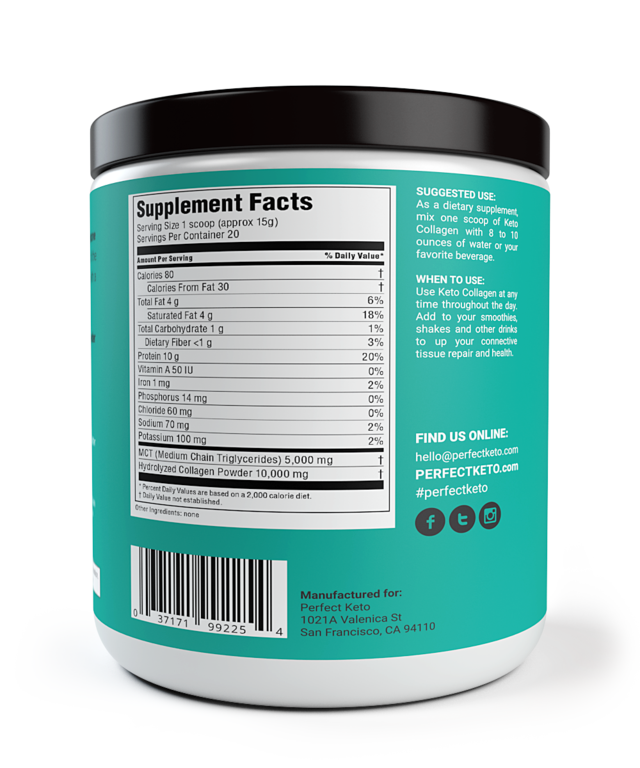 Or drink it before, during, or after workouts for an energy boost and fast recovery.